Imagine a huge painting, the type that blows you away with its intensity and makes you feel tinny. Then you realize, as you get closer, that the larger image is made of tinny details with a life of their own. The effect is similar to a photographic mosaic but a painting is closer to my impression of Vanity Fair. At first you might see only the Epic with its grand scale and over-arching themes, but then you realize that no character is too small to receive Thackeray’s attention. He’s great at building characterization through details: the choice of a hat, a mother’s shopping list, objects in a pocket. It’s this double macro/micro approach that makes Vanity Fair the zeitgeist novel of its time. There’s the world of the high-born, the social-climbing middle class, the poor and everything is between, as well as glimpses at the cracks starting to show in the rigid structure of the mid-19th century society. 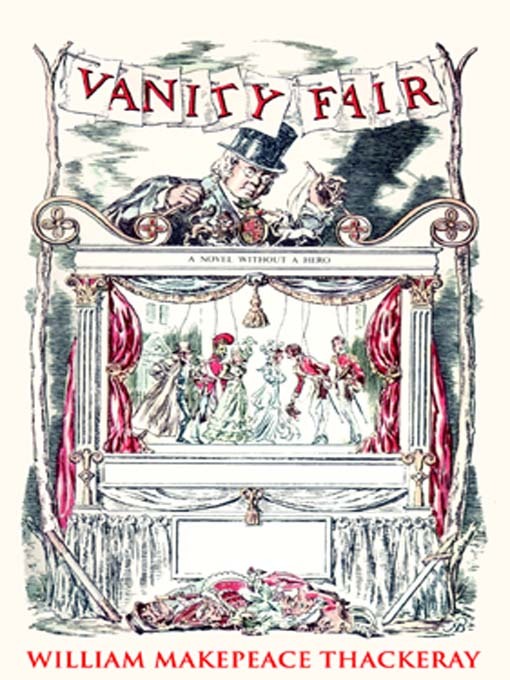 I loved this book for several reasons but one in particular made me appreciate Thackeray’s talent – Vanity Fair is a satire, but doesn’t caricaturize its characters or bend reality to make a point (through forced coincidences, the supernatural, forebodings or invasive analogies). After so many classics where I needed to suspend my disbelief to really enjoy them, this was a breath of fresh air. Confession: it took me about 4 months to finish it. Not because I wasn’t enjoying myself, but it’s just sooooo big that I got impatient and wanted to be able to finish other books meanwhile. However! Although it would be easy to fall into long moralizing speeches (yes, I’m looking at you Trollope! ), Thackeray chose an informal, conversational tone and I couldn’t help imagining I was sitting by the fireplace with him, comfortably sipping tea while he told me a story. At certain points he becomes positively gossipy, but never turns judgmental (Revenge may be wicked, but it’s natural). The sub-title of the novel is “A Novel without a Hero” and I wondered several times why Thackeray thought so (maybe because there’s no real heroine? ), since it’s clear for me that Major Dobbin was da man. He actually entered my list of favorite romantic heroes, right up there with Gilbert Blythe, Rhett, Faramir and Lymond (can Atticus Finch be considered a romantic hero?) – what a strange group these guys make! 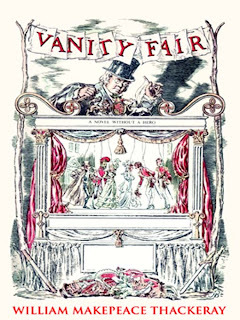 I feel I could go on and on about Vanity Fair, there’s so much to talk about – the description of Brussels during the Battle of Waterloo, how all male characters except Dobbin are so spineless, the meaning of names, how I loved Lady Jane – but I’ll spare you and just add a little something on Becky. If she did not wish to lead a virtuous life, at least she desired to enjoy a character for virtue. She’s an amazing anti-heroine. Amoral, yes, but with such drive and self-honesty that you can’t help but respect her. After all, who knows what you’d do in a similar situation, right? Apart from the narrator, Becky is the only person in the Fair to know she’s in the Fair and use the rules to gain advantage. If she never truly loved, it was because no man was a match for her and if she failed… well, she played her cards and lost, but what a game! Still, no matter how much I (not-so-secretly) liked Becky, if she hadn’t given the letter to Amelia at the end I might not have enjoyed the novel as much as I did. With that gesture Thackeray proved what I suspected from the start: he was half in love with Becky himself.